Jonathan Van Ness wore a stunning gown to the awards show and successfully shut down his trolls. 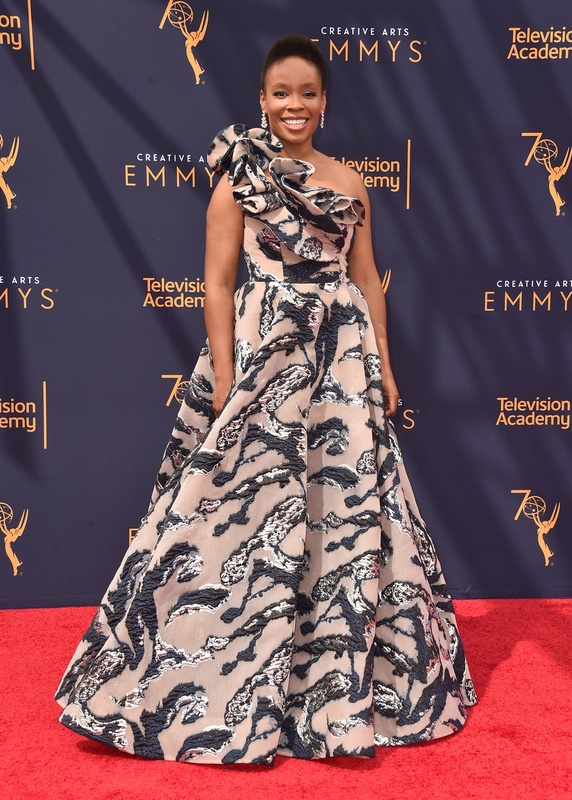 The Queer Eye crew had a great night at the Emmys winning three awards for their amazing Netflix show, but there was one member of the Fab Five who took our breath away. 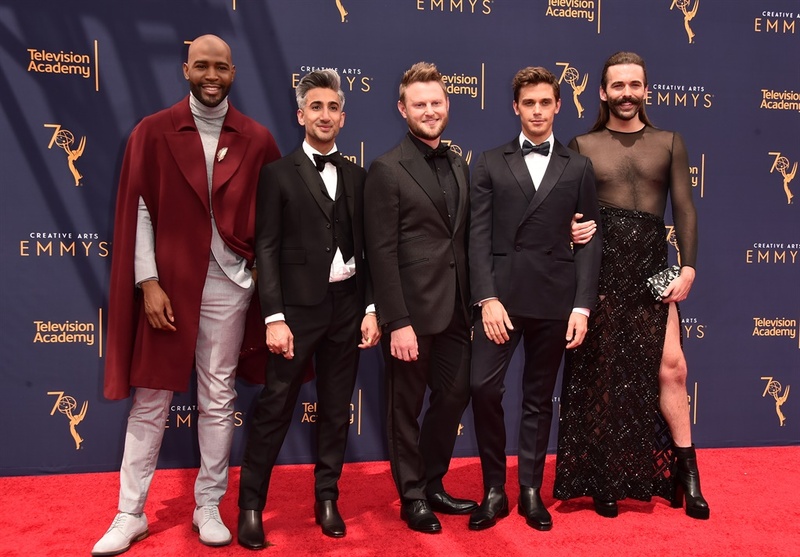 Jonathan Van Ness, who is in charge of grooming on the show, showed up in a black sheer Maison Margiela dress and high heeled boots that complimented his long hair, beautiful beard and full ‘stache perfectly. The 31 year old smashed gender stereotypes with a smile on his face and a dramatic thigh split that even Angelina Jolie would envy as he worked the red carpet to perfection. 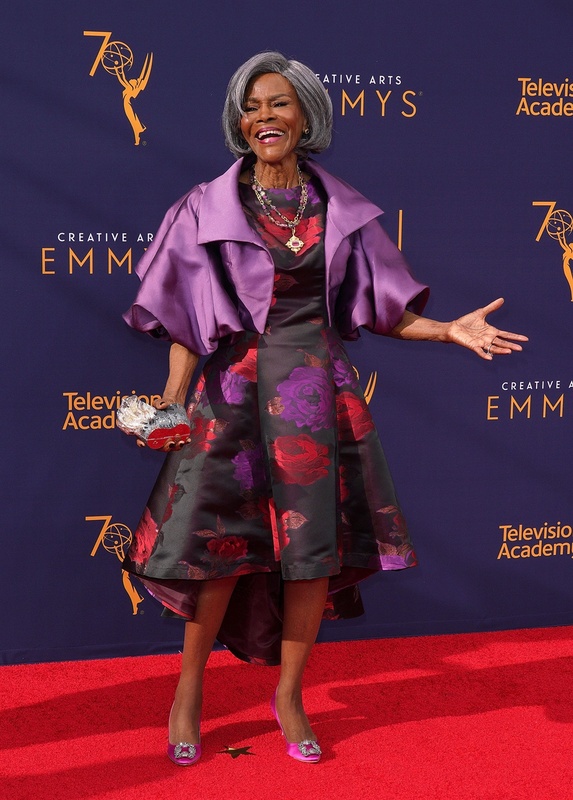 The rest of the Queer Eye gang were there as well looking dapper and radiant as we knew they would. Of course there were trolls who attacked Jonathan for living his best life, but he was there to clap back hard and show those trolls he wasn't going take their bigotry. 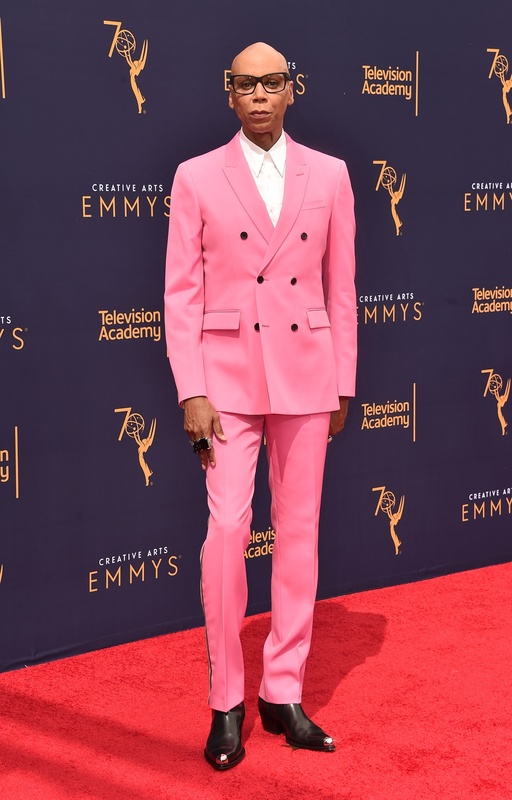 But none of that should take away from the fact that Jonathan looked beautiful and was, in fact, the best dressed person on the Emmy's red carpet.